If you are tired of running to Starbucks or the close by diners for getting a strong, hot and desiring (yes, we are still talking about coffee), then getting a budget-friendly efficient coffee maker is the best solution. The below listed 9 coffeemakers will let you enjoy a home brewed mug with ease and in the comfort of your bed/couch/garden and if you are in a hurry even the kitchen . This is one coffee maker that has garnered much praise from Amazon and CNET reviewers. The efficient 1500-watt heater maintains an ideal brewing temperature of 195-200 degrees that will not let you stress about your coffee losing its kick. The coffee maker is definitely best for brewing coffee super fast super hot. 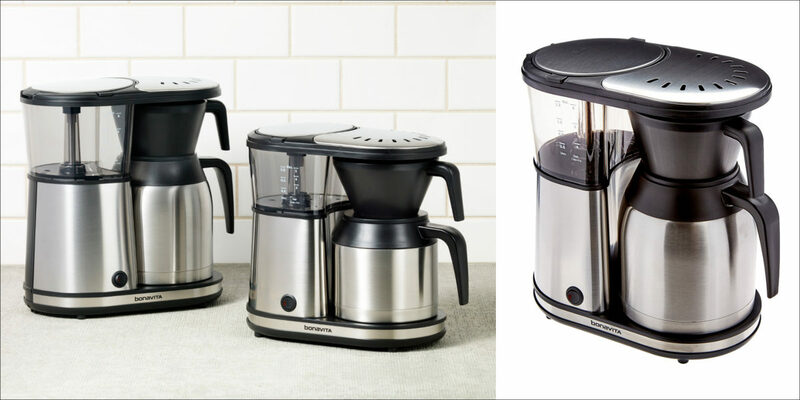 Kitchen Aid with its one-touch brewing will save you a lot of time in the morning if you have a big family. The coffee maker brews up to 12-cups of regular and bold strength coffee perfectly each and every time. The pause and pour button allows you to temporarily stop the brewing process and grab your cup personal cup of coffee and move on with the day. 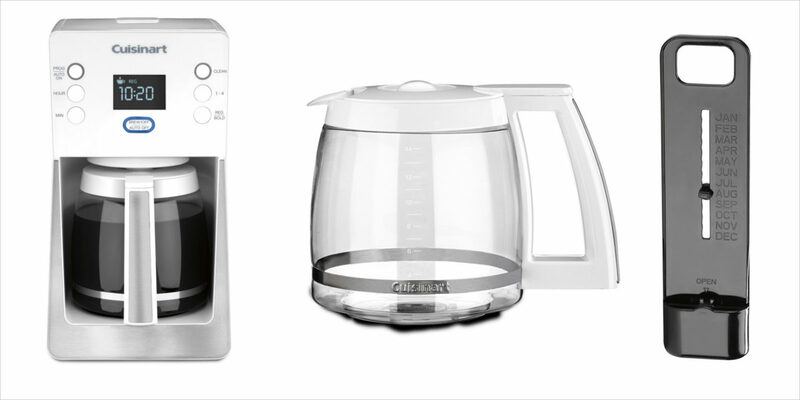 The coffee maker comes in black, white, empire red, and contour silver colour options. Mr Coffee has built its reputation for being one of the most reliable coffee makers in the market. The timer on the machine keeps a track of how long the coffee has been waiting, therefore, you will always know and sip the freshest brewed cup. 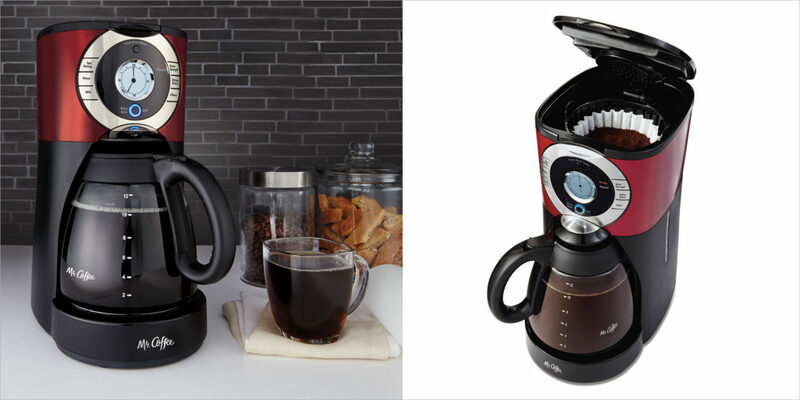 This 14 cup glass carafe coffeemaker with their brew strength control lets you choose the regular or bold flavour. If you are not willing to wait, the pause button allows you to pour a cut before the complete cycle is over. This travel-friendly brewer is perfect to prepare a good quality java on the go. The reusable filter basket lets you use the K-cup capsules and coffee grounds. 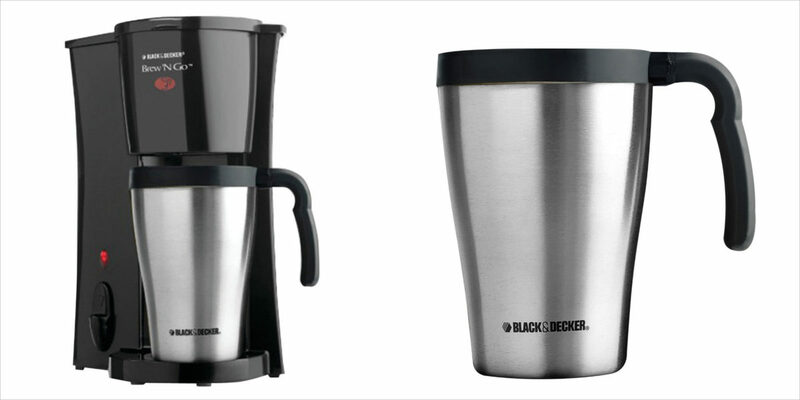 This Black & Decker Brew N Go personal coffeemaker includes a 15-ounce stainless steel mug that is perfect to brew when you have a shortage of time. The integrated permanent filter will save you from spending money on paper disposables. 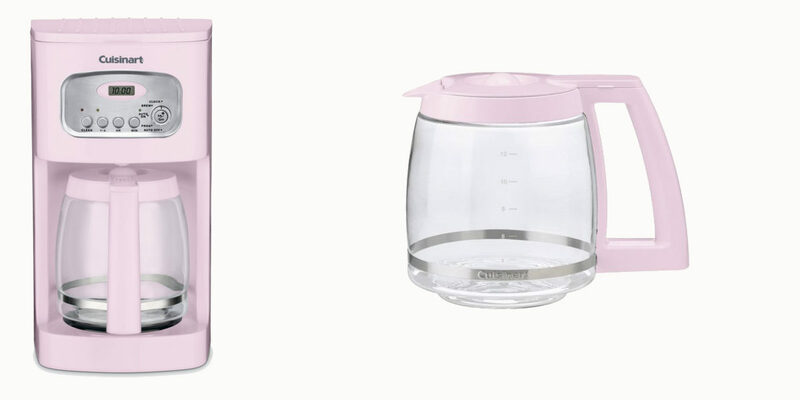 Who would not want a pink coffee maker? This standout accessory in your kitchen is not just a great conversation starter but also a great machine. 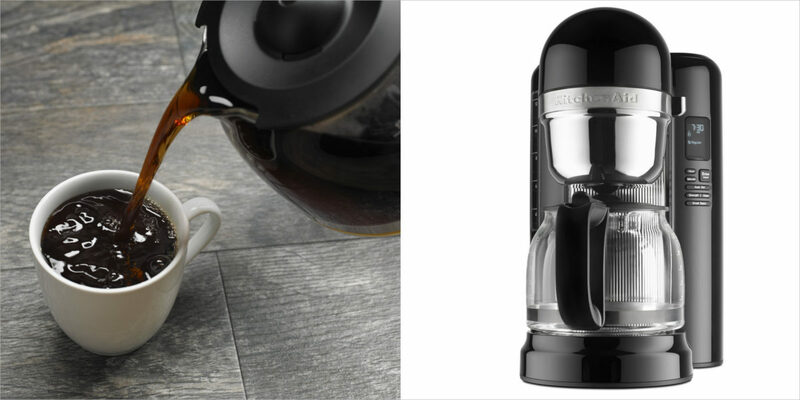 The 12 cup carafe with engineered handle comes with a 24-hour programmability, self-cleaning functionality and stainless steel body. Slightly more towards the high end, this coffee maker is no less than a work of art. 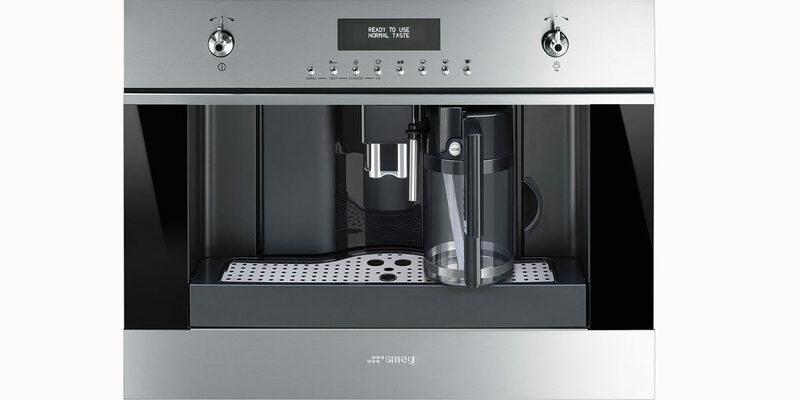 The 24-inch, fully automatic coffee machine comes with cappuccino maker and five different coffee settings that go from extra-light, light, medium, strong, to extra-strong. The machine is also equipped with hot water function, dip tray and multi-language LCD display screen and a fan cooling system. 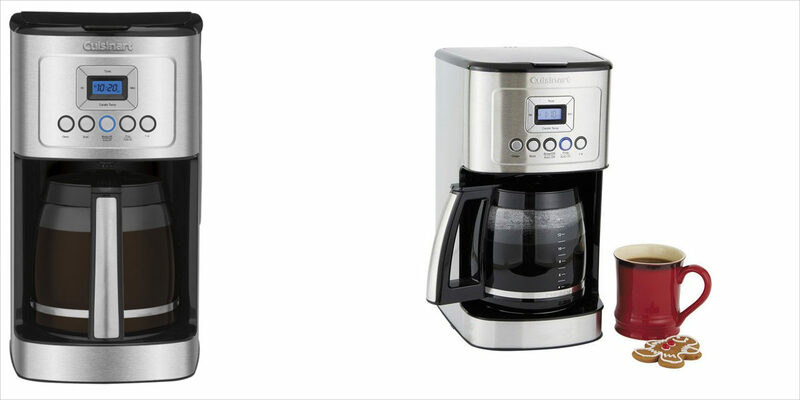 The coffeemaker is one of the best available coffee makers from Cuisinart. The technology used in the machine lets you enjoy a hot coffee without compromising the quality or flavor. The controller even lets you personalize the taste and flavour. Plus, you can also program the machine 24 hours ahead of time and the self-cleaning feature will do its job and then automatically shut down. Pick the machine that best suits the need of your home and enjoy the delicious cup of coffee in the morning, evening (and pretty much every time of the day).